An e-commerce website for artificial grass suppliers Quickgrass. Logo and branding concepts, PayPal cart system, great back-office control via shopkeeper’s administration panel. 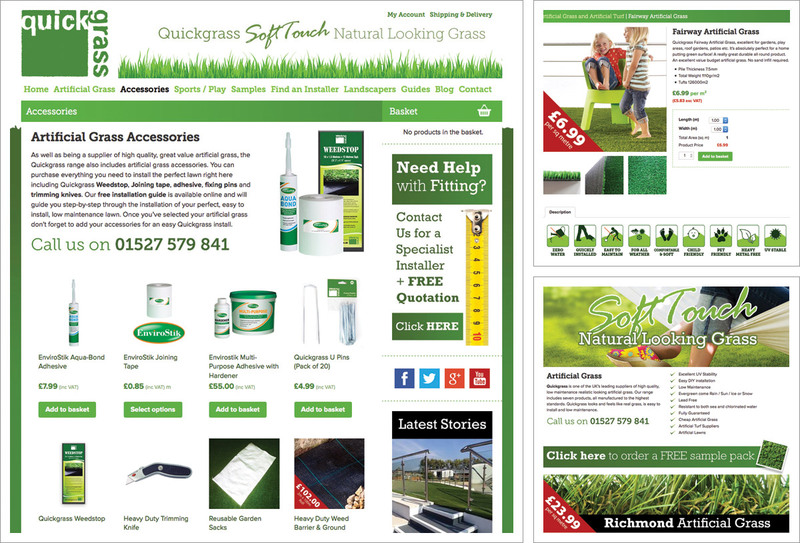 Informative, unique, well optimised website content to include FAQ’s, Measuring Guides, Installation Guides, Request a free artificial grass sample. Bespoke functionality built in and we even helped out with a little photography too!